Zoe Foster and her eldest daughter, Neville. This little place was found, and founded, by Zoe Foster, a formidable settler in the 1940's. She noticed the gentle wrap of the bay as she swam up and down the coastline, she saw the lush forest that erupted behind it, the generous shade cast by coral overhangs, the deep caves begging to be explored and the slow slip and slide of the Sand Island as the tide rose and fell. And she made it home. 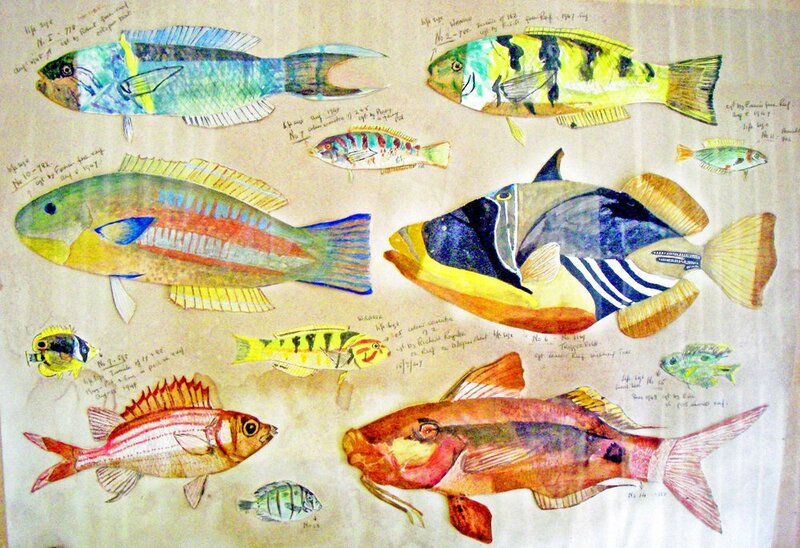 She caught the reef life in the colours of her paintbox; her catch hangs in a collection of almost thirty paintings in the original family home which sports a ship's bridge, salvaged from a wreck almost sixty years ago, as a guest bedroom. Her sons and daughters grew up here. Her grandsons and grand-daughters too.